With the long weekend right at our doorsteps, most of us are either finishing off our packing or gearing up to hit the road for a well-deserved break. If you are going to be on the road this long weekend for a long distance trip, there are certain safety measures and precautions to take into account to ensure that you arrive at your destination safely – and have fun along the way. Long distances trips may sound daunting, but with the right prep and your loved ones coming along for the ride, it can turn it into a fun-filled and exciting trip. 1. Inspect your vehicle before the trip. Before hitting the road, be sure to take your car in for a full pre-trip inspection and make sure that all your services are up to date. You don’t want to find yourself stranded or involved in an accident because of a non-roadworthy vehicle. Also, when stopping for fuel, remember to do your fuel station checks. 2. Get to know your route. As funs as detours can be, don’t leave your trip to chance. Make it a point to familiarise yourself with the route you will be taking or your route options. If necessary, put your destination into your GPS navigation system and setup a reminder to alert you when it’s (the best) time to leave. This will also help you plan for your rest and fuel stops during your trip. It will also help you should something happen along the route – emergency teams will be better able to assist you. 3. Prepare for the unexpected. Even with all the prep, anything can happen. Prepare for the unexpected as best as you can by having things like a fully inflated spare tyre, a first-aid kit and emergency numbers etc. on hand should they be needed. Also, ensure that you have enough padkos and cash. 4. Take a break. Stop, take a break and enjoy the different attractions along your route. Whether it’s a fuel-up stop or a pit stop, always remember to take a break – maybe even take a walk to get your blood pumping again! If you are travelling with another driver, take turns driving and make sure that they are rested and ready to take over for the next stretch. 5. Stay alert and awake. This is a very crucial step in ensuring that you get to your destination safely and enjoy your holiday. There are number of tricks you can try to help keep you awake and alert while on the road. Keep the temperature in the car cool, but not cold. Better yet, roll down your window or pop open that sunroof from time to time during your trip to let in some fresh air. Play upbeat music and sing along to the songs that you know. Talk yourself awake. If you are driving with others, engage in conversations – especially when you’re feeling the fatigue set in and there is no safe place to stop. Sip or eat yourself to alertness. Obviously, don’t overdo it with the sugary drinks or heavy foods and find yourself fighting the ‘itis’ fatigue; but food and caffeinated drinks can help you stay awake and alert. 6. Enjoy yourself! Long drives, when done right, can be fun and possibly even a good time for reflection or a catch up with your fellow travellers. Get everyone who will be going on the trip to chip in on the playlist or come up with ideas to keep the trip entertaining. But remember, you don’t have to sing or talk the whole way – allow for some ‘down time’ too. Let’s not forget about the perks of having your own wheels to ride around in when you get to your destinations. We may have gotten you geared up for your trip with these tips, but make sure that you’re comprehensively covered should anything happen to your car. 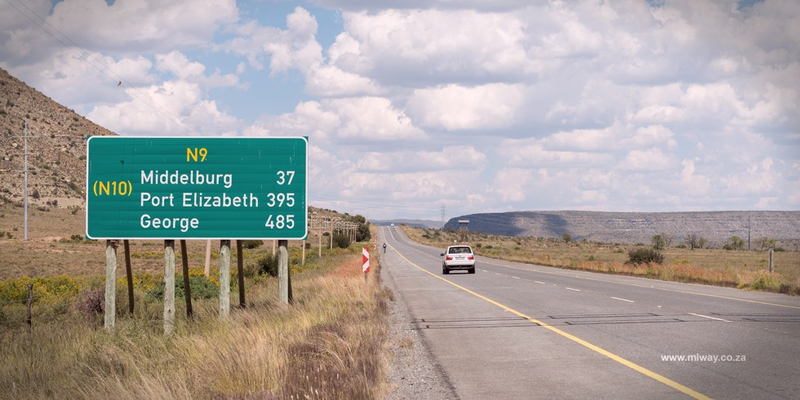 Contact MiWay for an obligation-free quote for reliable car insurance; and for existing clients, don’t forget your border letter if you will be road tripping beyond the borders of SA.